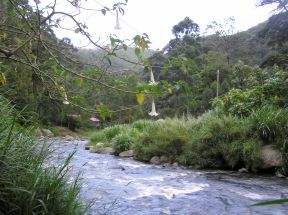 Spectacular riverside lot in the "Switzerland" of Panama. 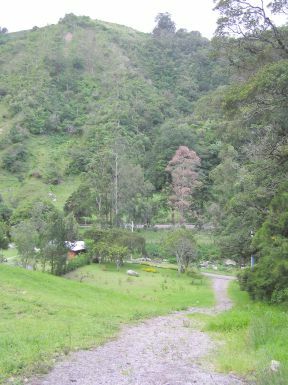 The Bambito area is a few minutes drive north from Volcan. This area has been compared to its well-known European counterpart because Of the style of many of its houses and because the area lies in Alpine style valleys, with pristine trout bearing rivers. 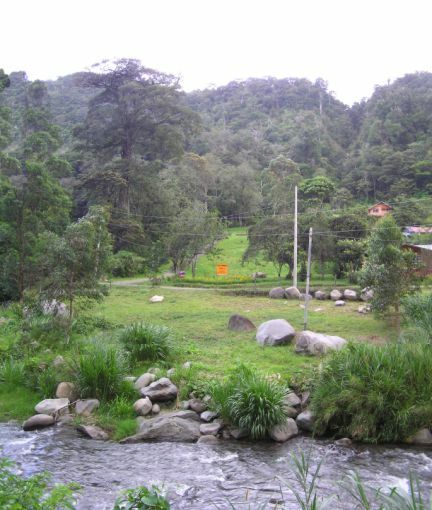 The site slopes gently down to the Chiriqui River.The lot has had extensive work carried out on the large decorative rocks and is ready for you to build the home of your dreams. In fact should you wish, the owner has a set of fully authorized plans for a three bedroom, 3-bath house at no extra charge. "Eternal Spring" Climate. Averaging between a low of 60f to a high of 80f. Manantial Resort and Spa, a very popular, high-end recreational facility. The lot is offered at $98,000 US and for an additional $15,000 you can purchase the 1,000 square metre river front section.